(Real World Records) Afro Celt Sound System has been one of my favorite bands within the past five years with their amazing blend of Celtic, Western African and Electronica. While this release is great I feel that it doesn’t quite stack up to my two favorites Seed and Volume 3: Further in Time. I do like that most of the songs are sung in African languages and that there is still an emphasis on blending together of different genres. However, most of the songs seem to rely a bit to heavily on a basic West African sound and a bit of electronica to ground them. There really aren’t many times where the music really seems to be a seamless fusion of several disparate styles coming together to form something new. That being said, this is still a great release. A few songs do blend together many elements of Western African and Celtic music like on the title track “Anatomic”. I especially love all of the layers which are blended into the songs and aren’t readily noticeable until you follow just one instrument throughout the song. Some are subtle, but when taken together they create such an amazing mix which in my view is the sign of an amazing band. 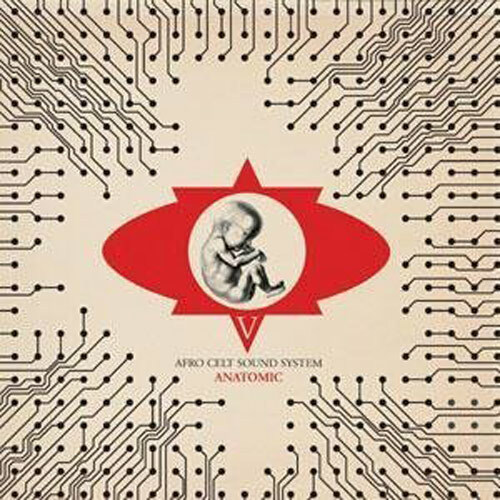 Overall, Afro Celt Sound System sounds like no other band out there and is a great example of music that can be created and enjoyed by many due to the talents of some amazing musicians.